This large scale scenic print depicts a black and white forest with elongated trees, and plentiful foliage on the ground. 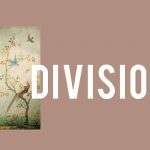 Atop this, is full color depictions of birds and other assorted animals. 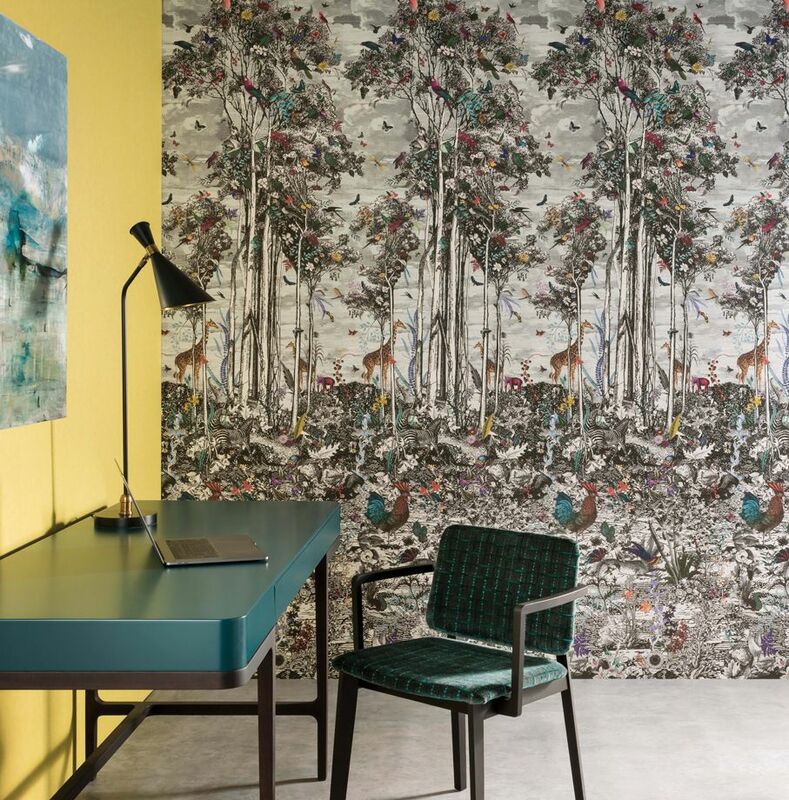 Animal Glade is a work of art and adds a tasteful amount of drama to the room. 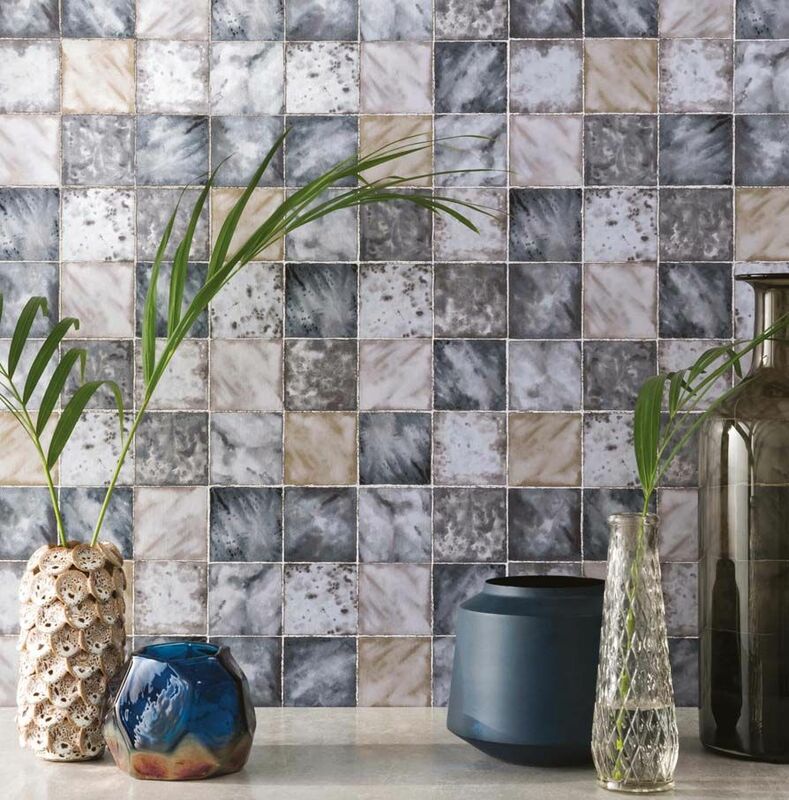 Dazzling marble tiles in soft bright colors: white, baby blue, and turquoise with faux distressing and cracks with gold or silver filler scattered through out makes up the Faenza Tile. This pre cracked marble tile aesthetic feels glamourous without trying too hard. 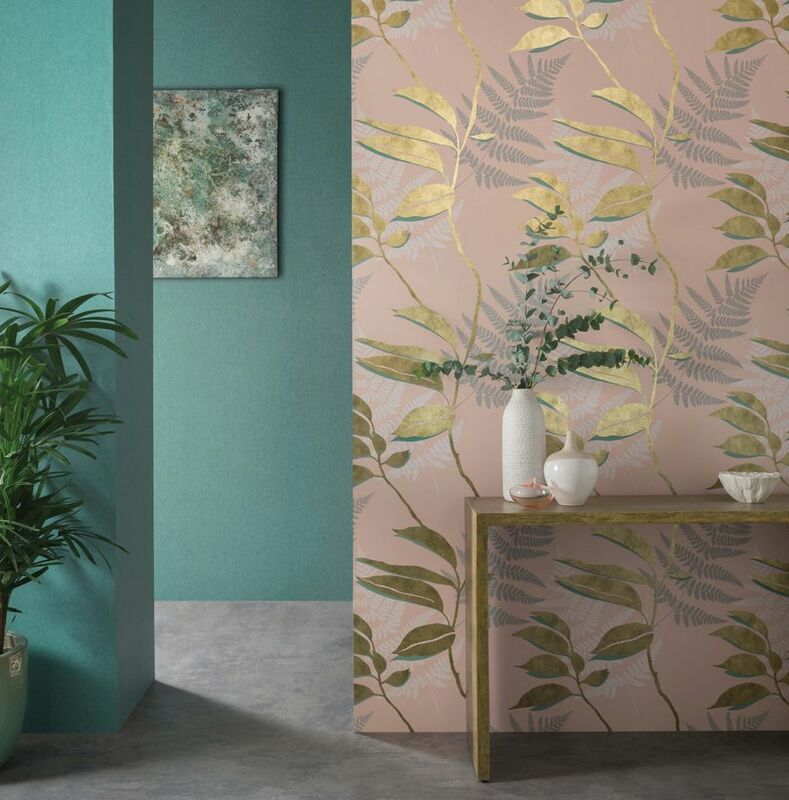 Trailing metallic foliage is printed in varying tones of silver, gold, rose gold, and copper atop subtle pastel backgrounds such as sage, aqua, cacao, stone, and dove grey. 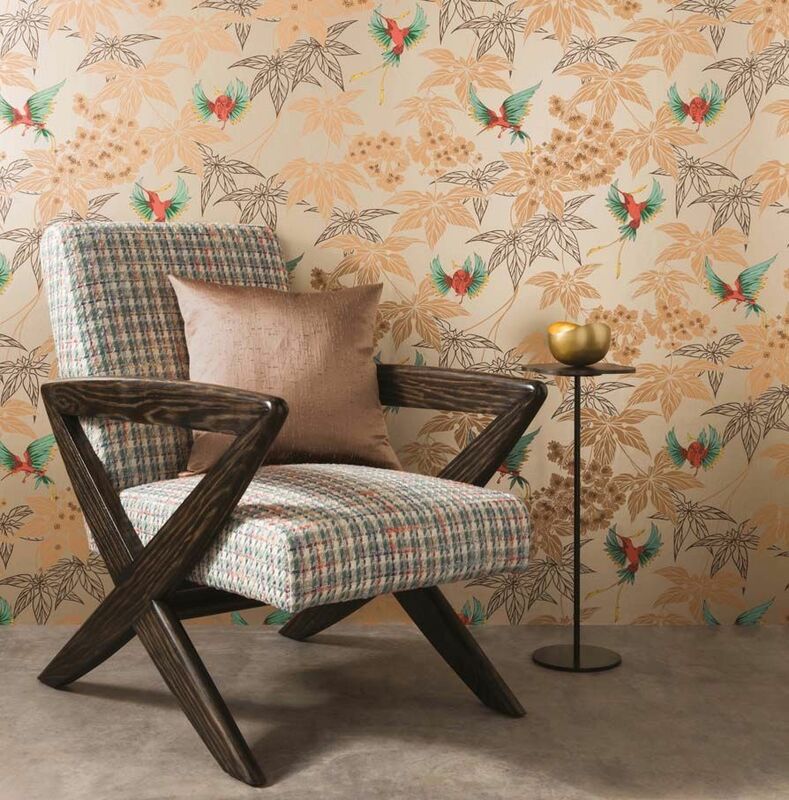 In between you can find intricately printed ferns to keep the pattern diverse and geometric. 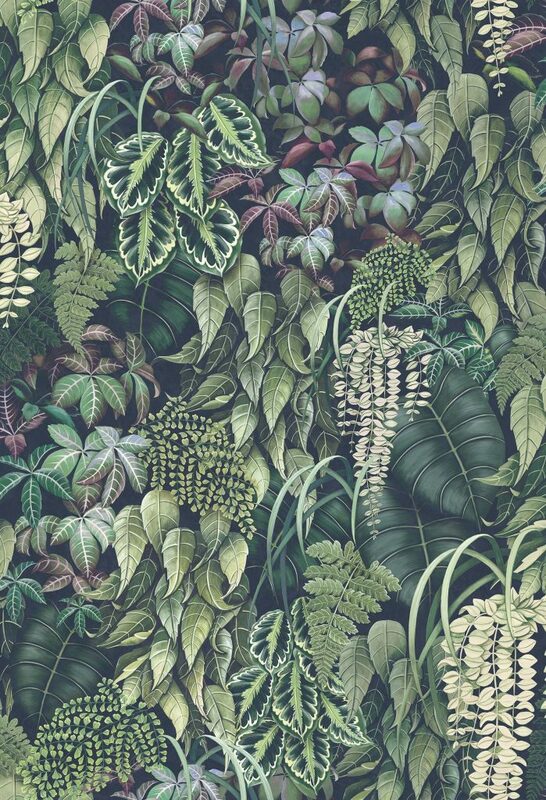 Green Wall by Osborne & Little illustrates the more modern trend of vertical scaling gardens found within urban environments who lack larger space. 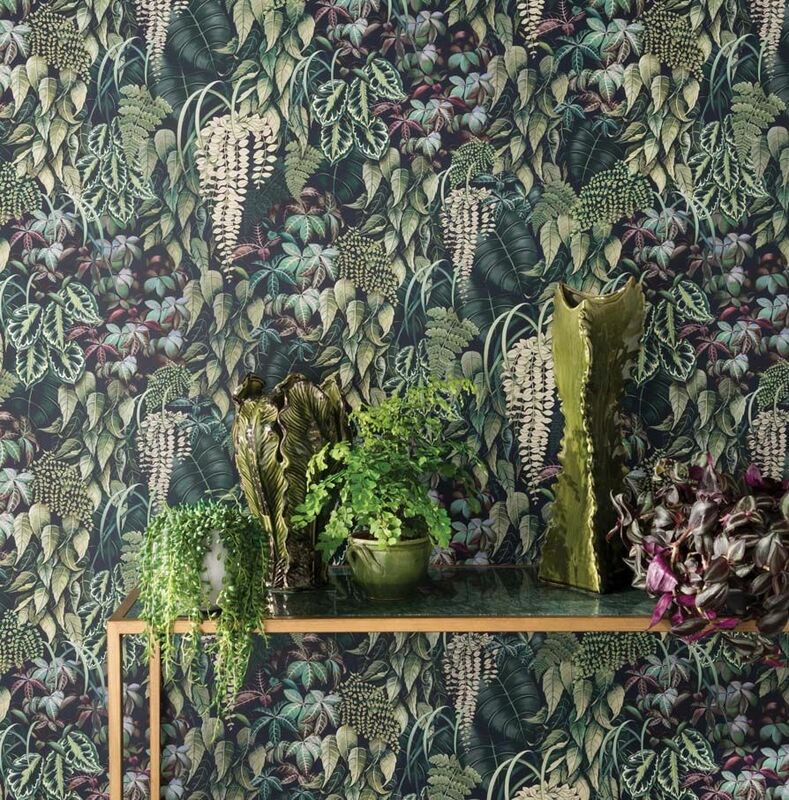 This trend in itself is beautiful for keeping the greenery in our homes, rather than just ditching it. 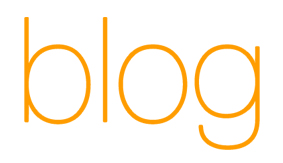 Using dark green foliage and contrasting colors red, orange, and purple, or much lighter in green pale leaves. 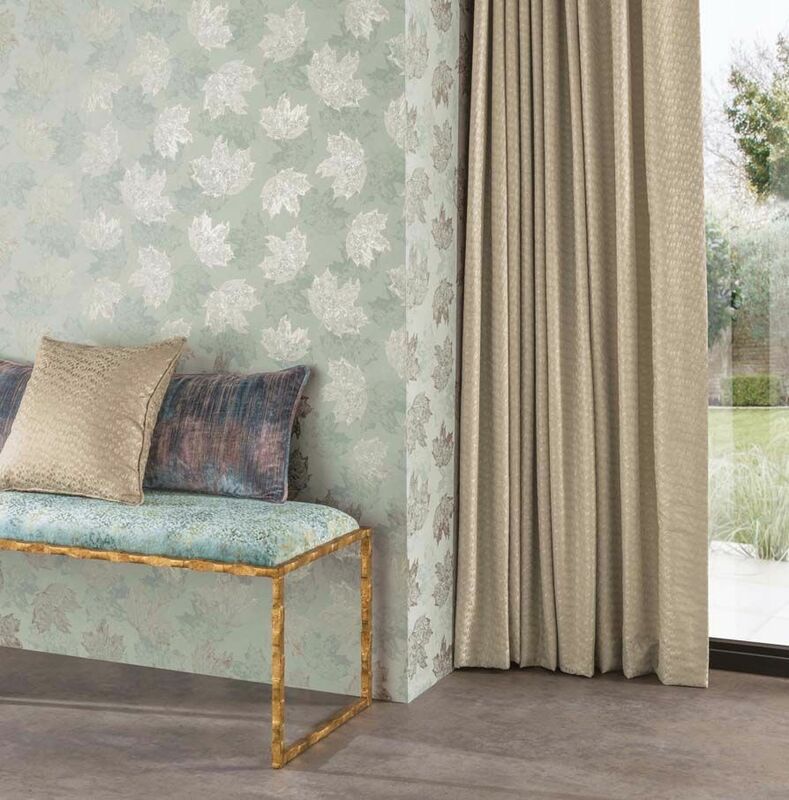 Grove Garden is a pattern from past Osborne & Little collections, but it has been given new life with these contemporary and sophisticated color ways featuring lustrous highlighted details. 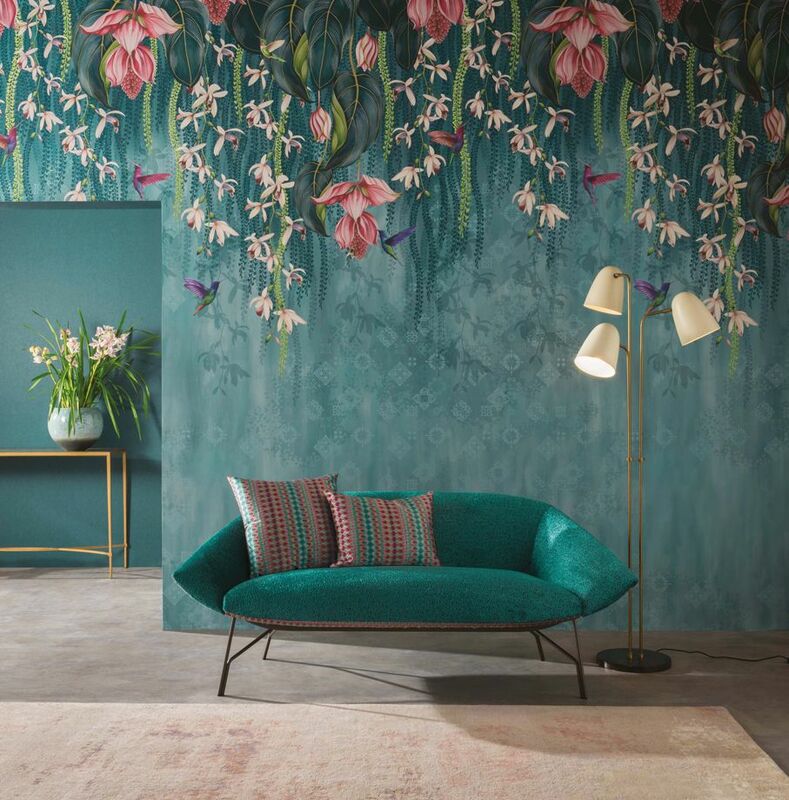 Animated song birds fly between pointed leaves and delicate blooms in calming and sophisticated color ways. 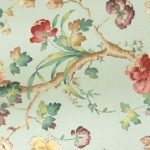 Skip the hand-glazed tiles with this easy to hang non-woven base print from Osborne and Little. 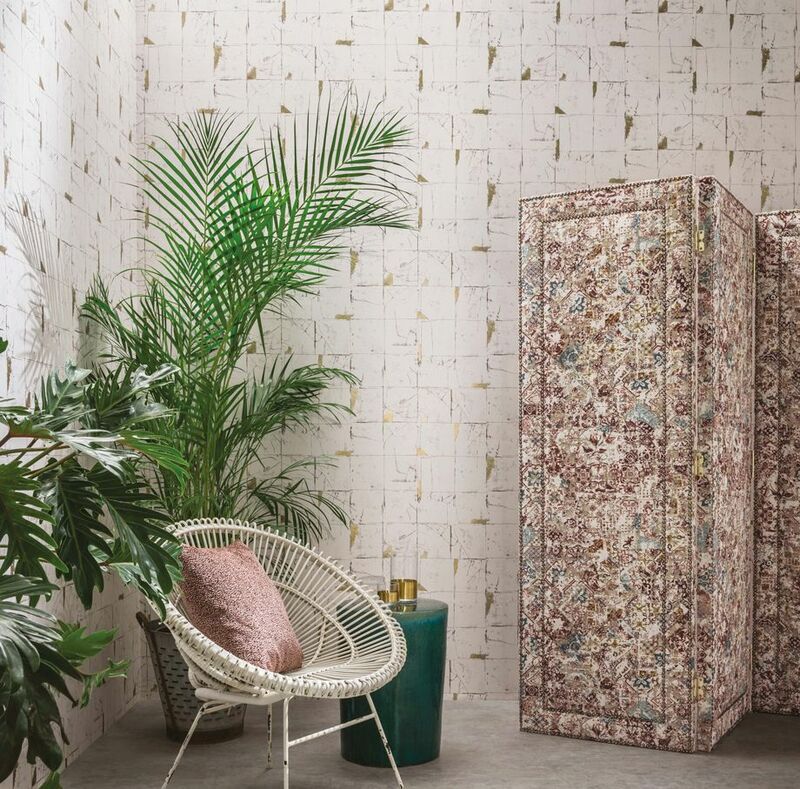 Hammam features assorted tile-like print with a digitally printed glazed finish in assorted prefaded colors. 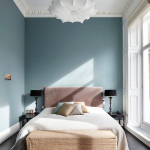 Available in a taupe, gray, and beige assortment, or a cooler aqua and purple inspired rendition. 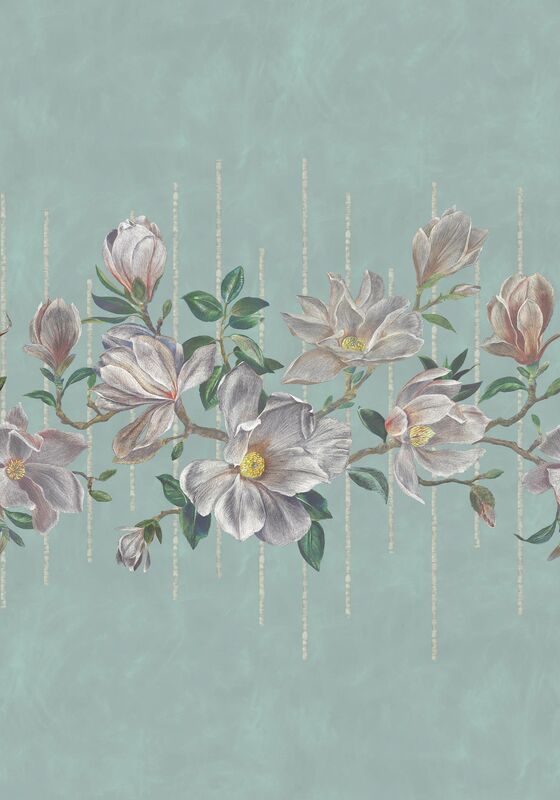 Magnolia Frieze is without a doubt, a stand out pattern from the Folium collection. 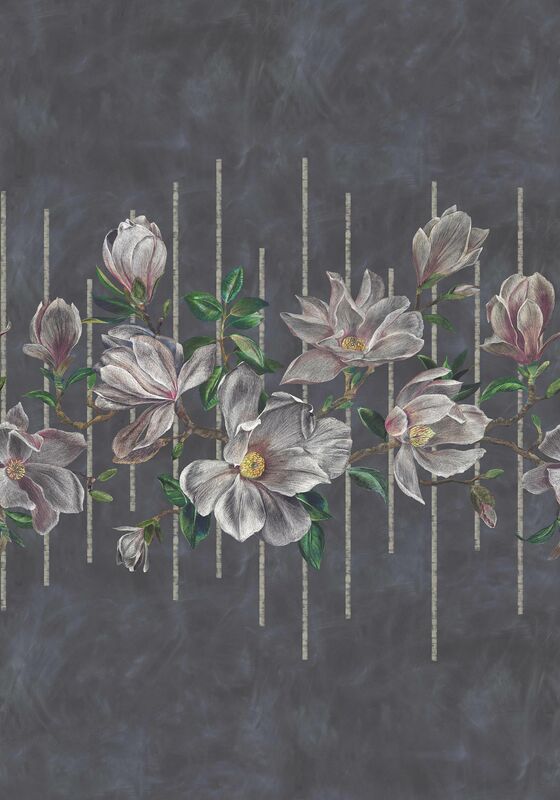 The background gives off a chalkboard like look and the gorgeous painted magnolias are at the largest scale, depicted atop thin bamboo poles. 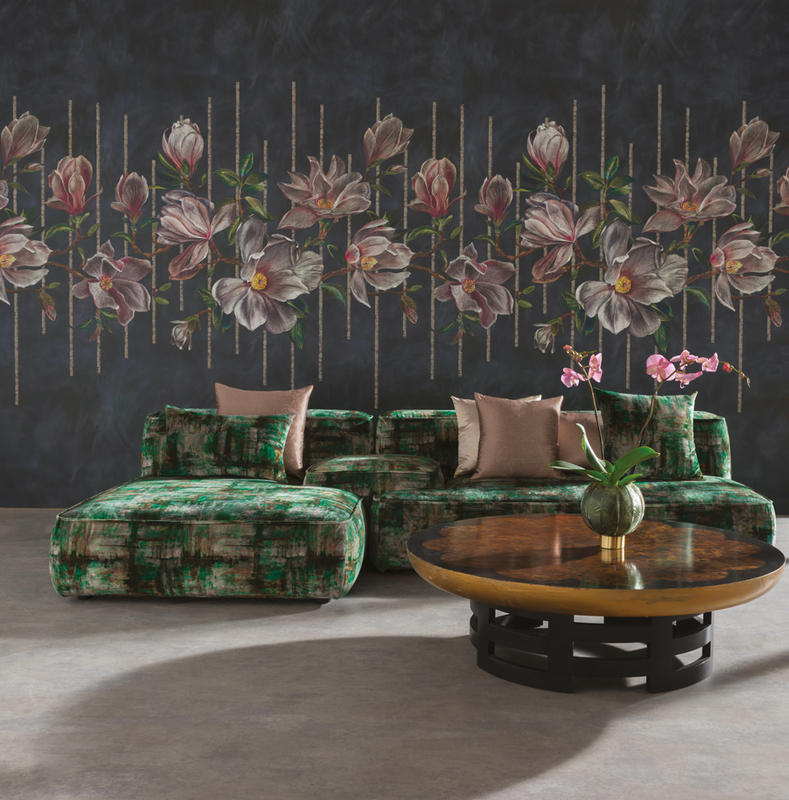 The artistry is hard to miss in this majestic wallcovering, available in wide print panels. 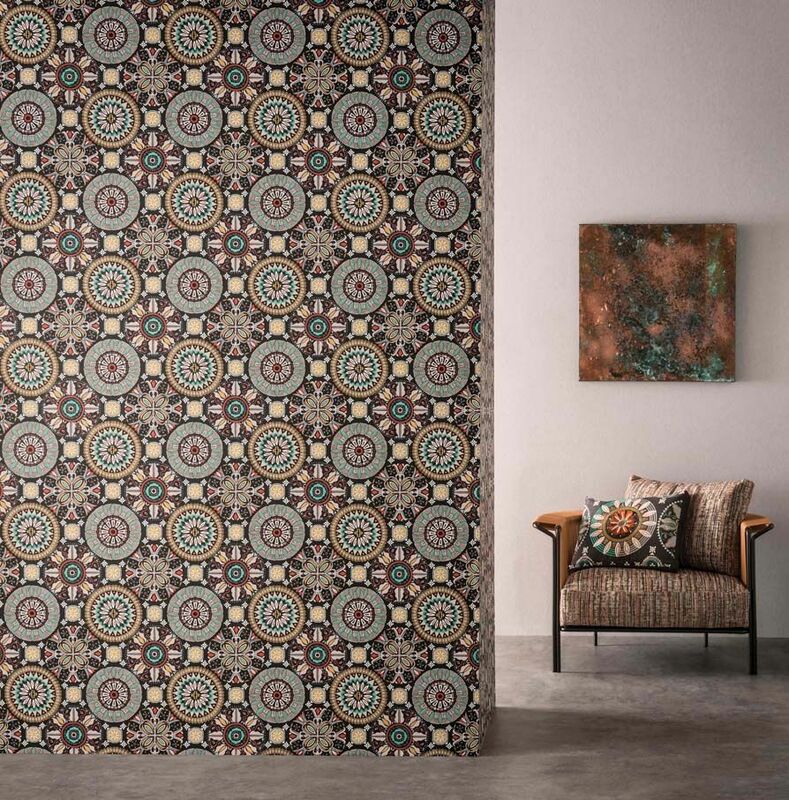 Rosetta resembles complex and artistic tile work that you might find in a catholic temple or an ancient ruin. The vibrant combination of black, gold, brick and green in the first colorway is filled with history in its origins. Or if you’re seeking something more cool, the other two color ways are much more icy, blue and white. 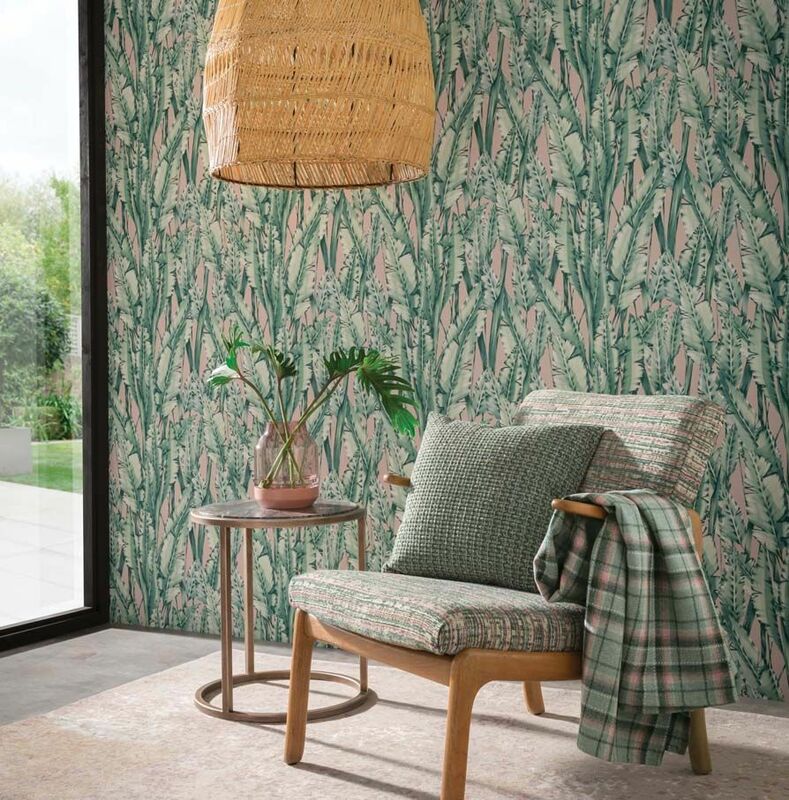 Sycamore leaves print stamped with ink is the aesthetic of this wallpaper, varying shapes of sycamore leaves with alternating color schemes that fit their counterpart softly. An all over vertical arrangement of assorted striped leaves, available in three varying shades of colorways. 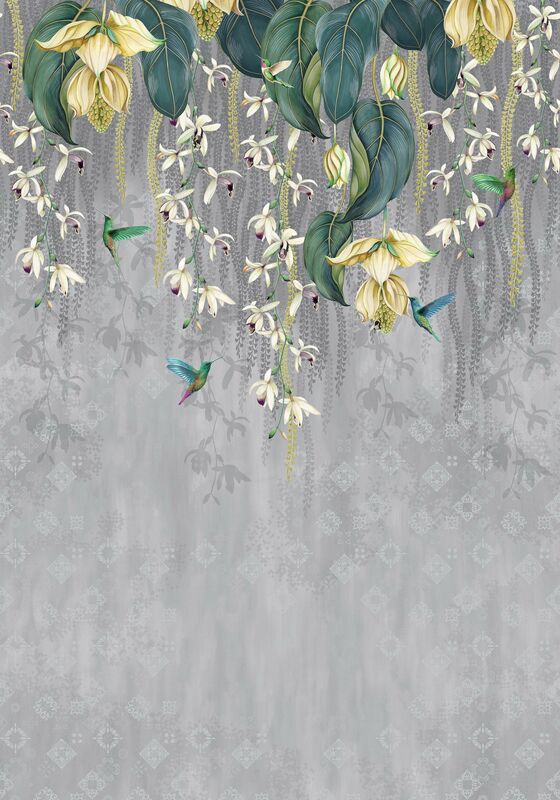 All the glitz and glamour of delicate beautiful orchids hanging from your walls, without the mess. 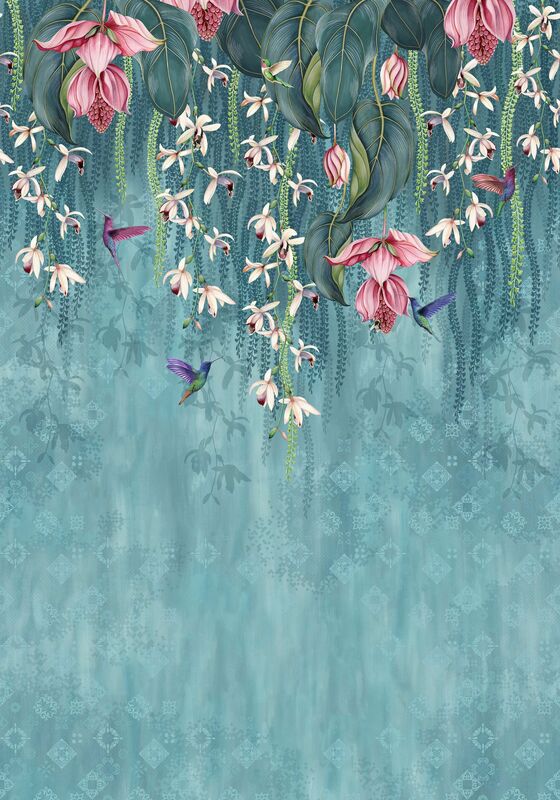 Trailing Orchid depicts large scale realistic printed orchids draping from the tops of the walls, and humming birds attempting to extract their nectar. 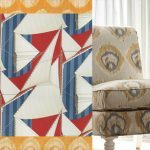 The rest of the print features fade wash style color with lightly printed monogram similar to the pattern found in Rosetta. 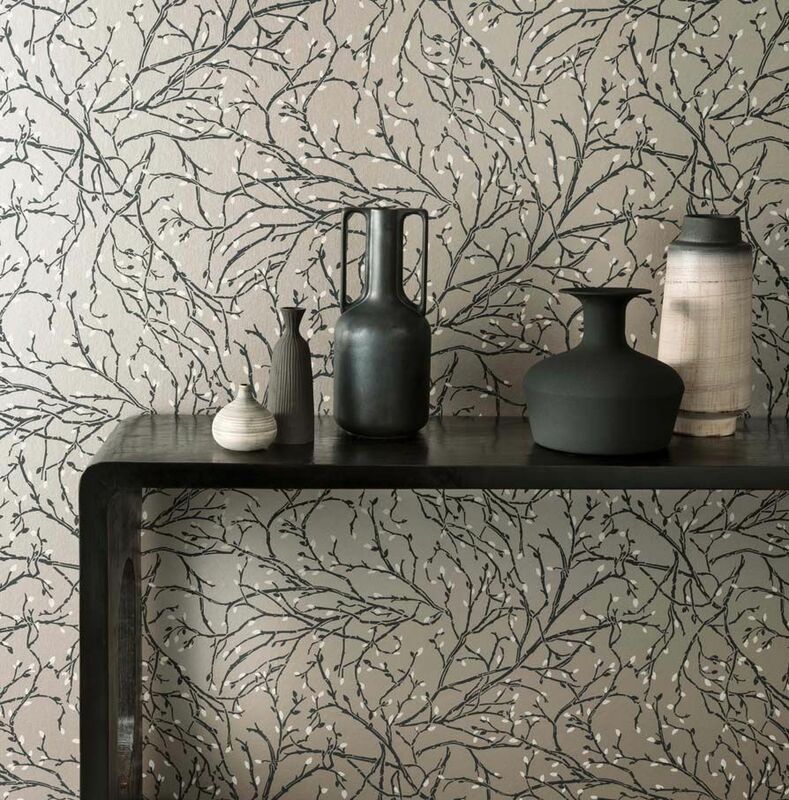 Twiggy is an allover twisting branch inspired print that conveys complex texture with the use of organic vine shapes. Between the vines are slight budding blossoms that add contrasting color. 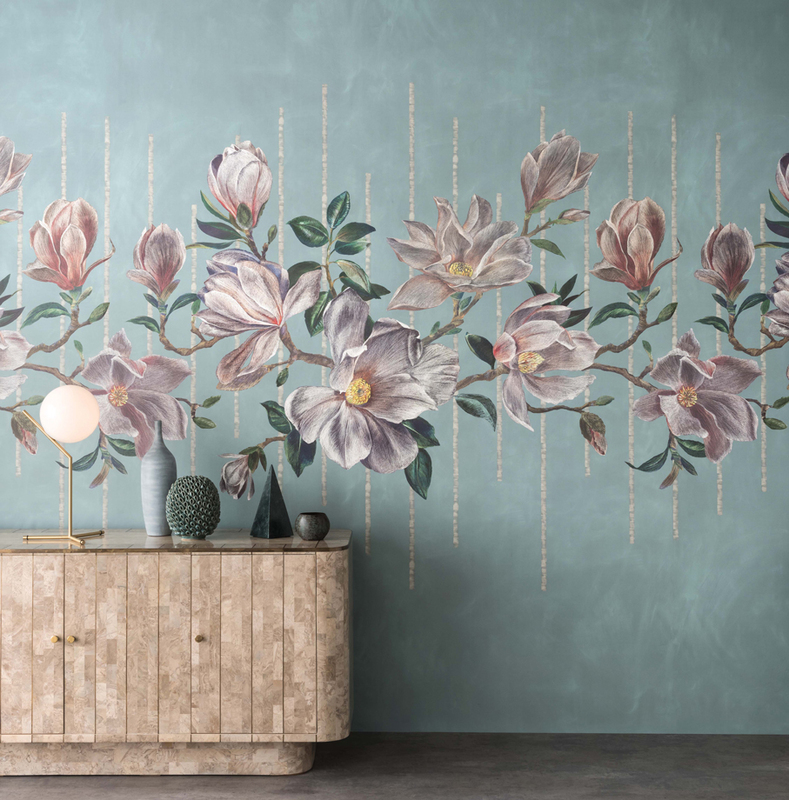 This concludes our wallcovering showcase for Osborne & Little. 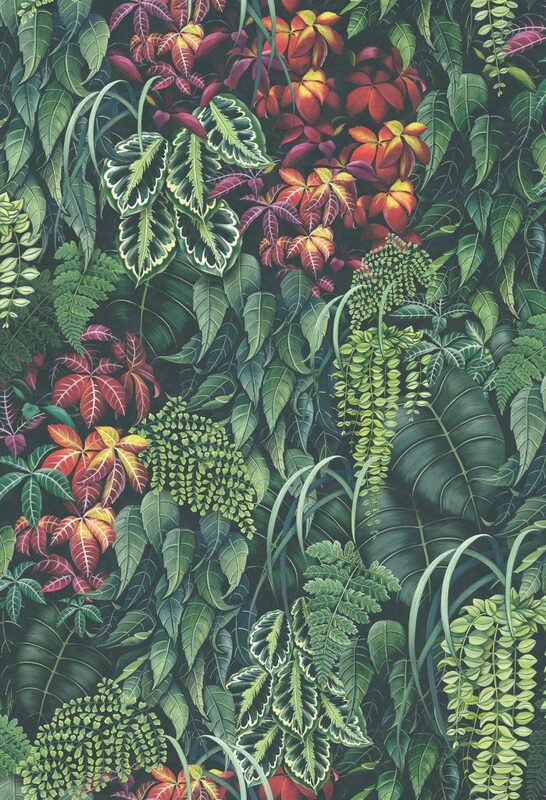 If you love any of these botanical inspired wallpapers, simply click on the color swatch or room shot that you prefer, and you can learn more about pricing and content. 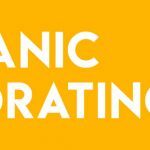 If you have any questions, feel free to give us a call. 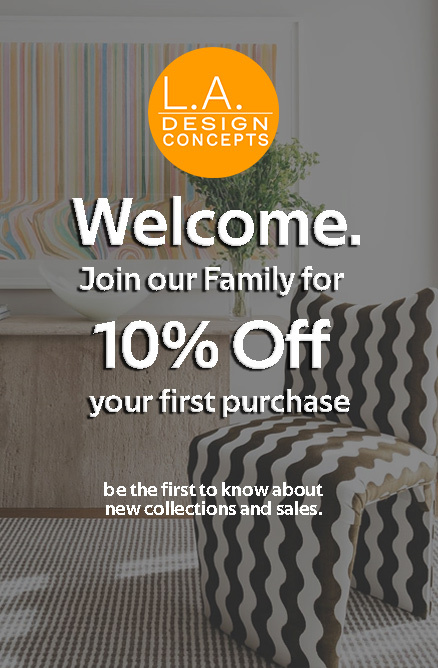 We’d love to help you get your order started. Until next time!